The maps show the changes during the last 250 years. To view any of the maps just click on them. 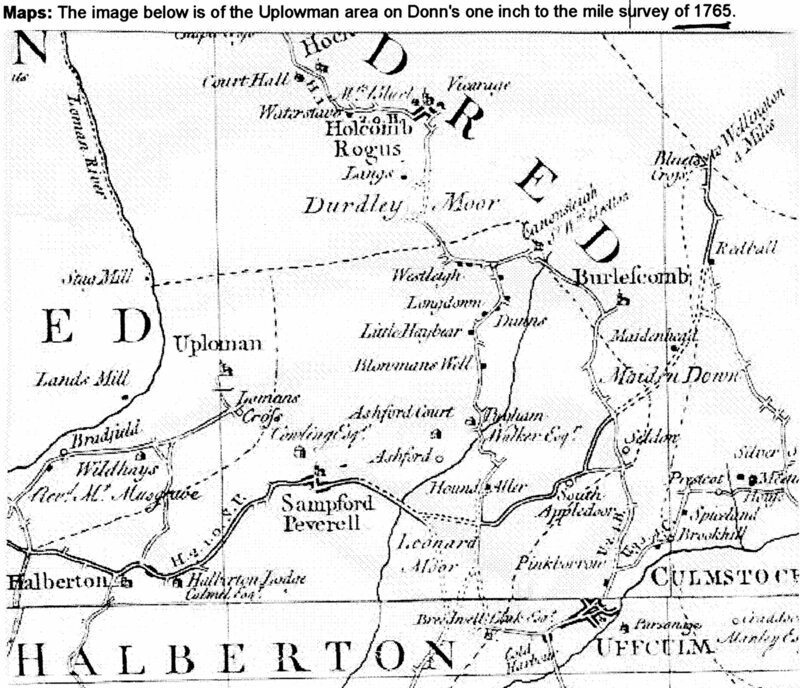 The earliest map found relates to 1765 and shows relatively few roads. It was similar to an early AA map merely showing the main roads from one place to another. Hence, it does not show the road from “Lowman Cross”, Uplowman to Huntsham even though we know the road existed. 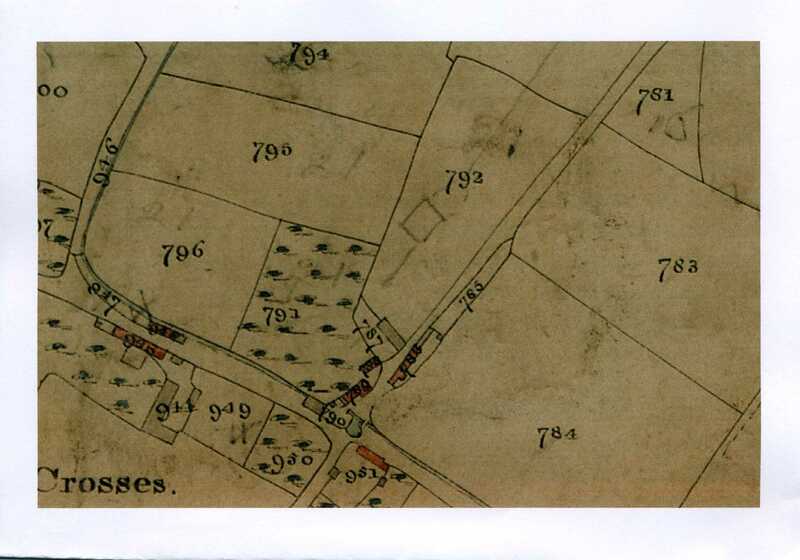 The next map is for 1841 and shows the areas for Tithes (local tax purposes). 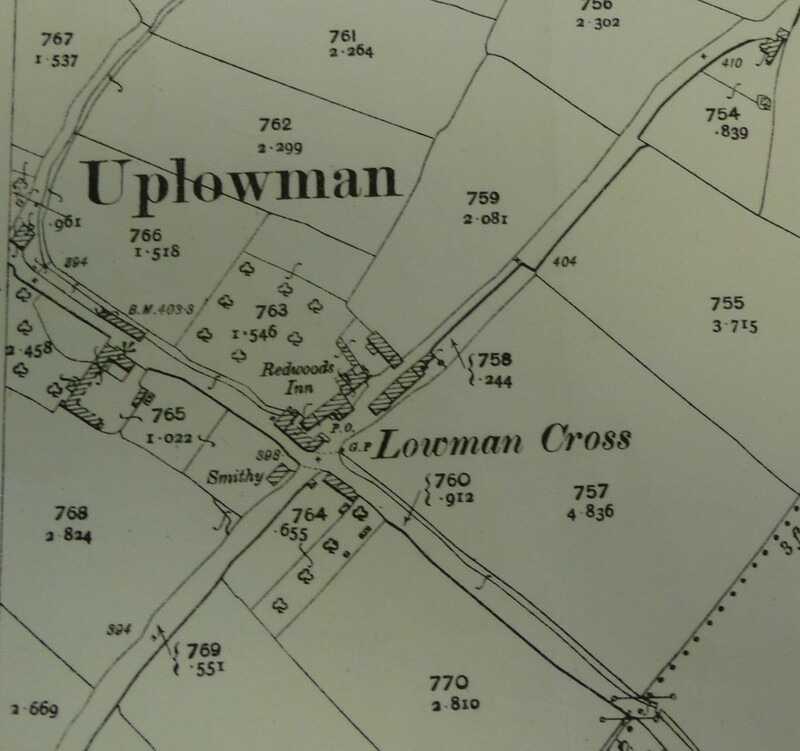 This particular one shows the centre of the village at Lowman Cross. Notice that the Redwoods is shown as is the Post Office. Also on the map are cottages where now stands the “Crossways” homes. Noticeably there is no “smithy” yet built opposite the Redwoods. For those with keen eyes you should be able to make out the Leat as it crosses the road outside the Redwoods (as a ford). 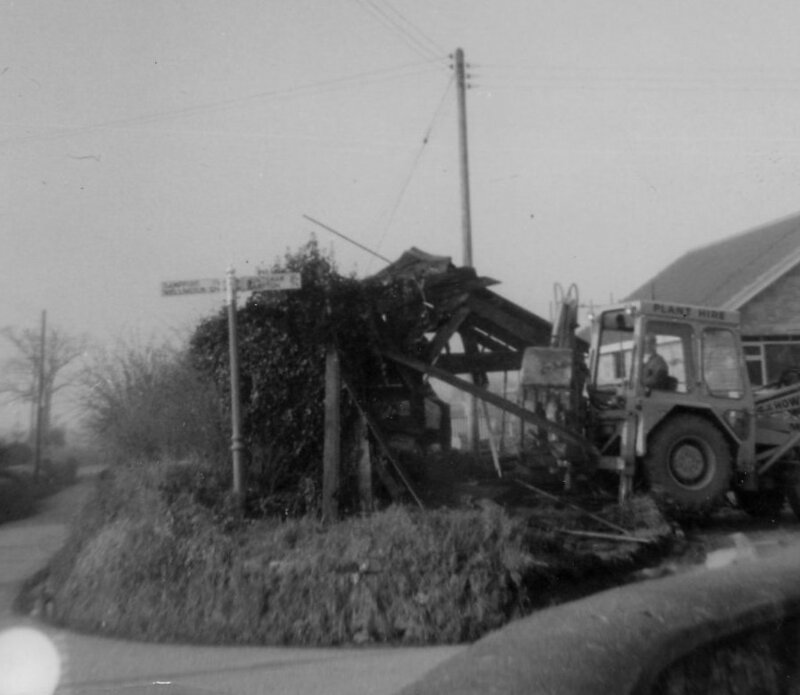 Moving on to 1887 the “smithy” is now shown as is Granny Bakers cottage. 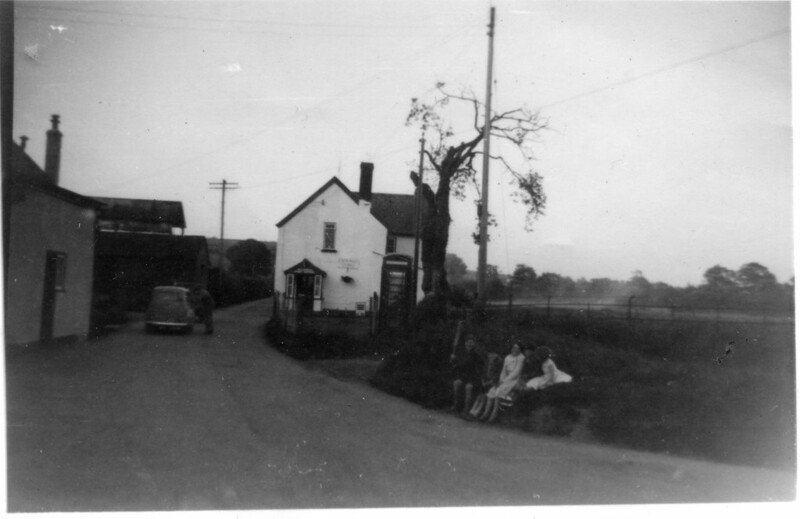 Whilst at Whitnage it shows the Methodist Chapel (Wesleyan). At Greengates the school is now shown (built 1874) as is School House, Uplowman Rectory and Cott Farm. Glebe cottage was rebuilt in 2005. 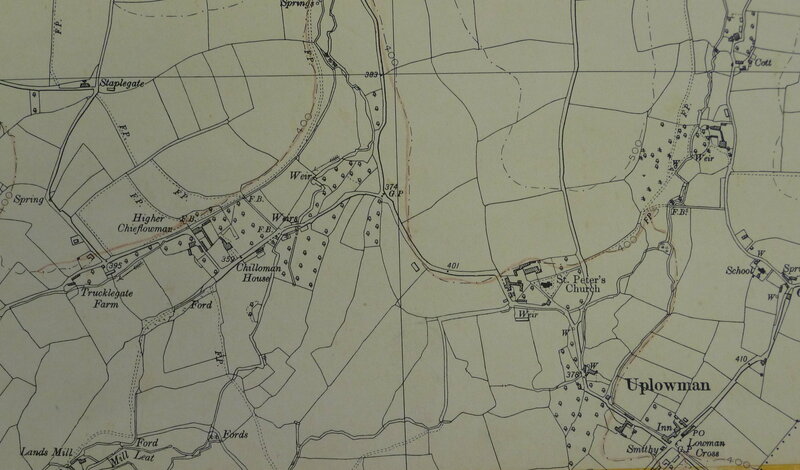 The map below is of Greengates in 1887. 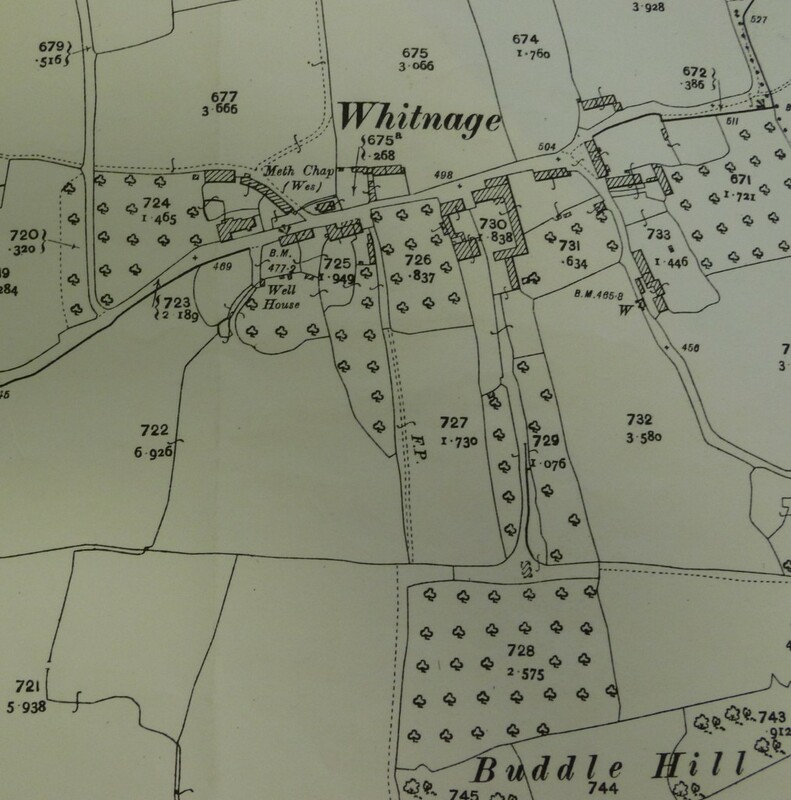 The map below is of Whitnage in 1887. 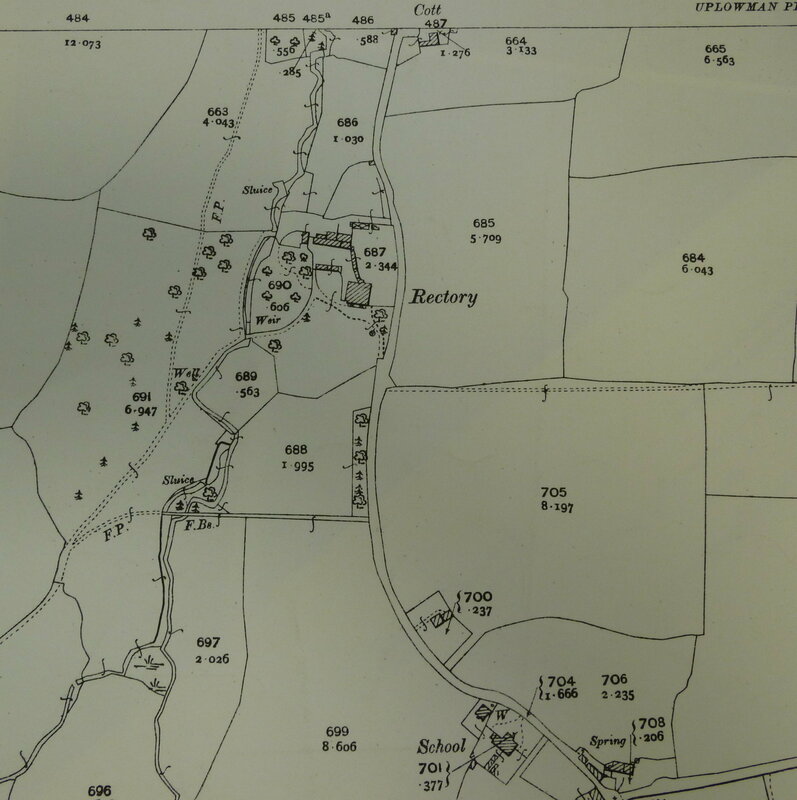 The 1962 map shows the “smithy” still there although it was demolished later during the 1960’s. 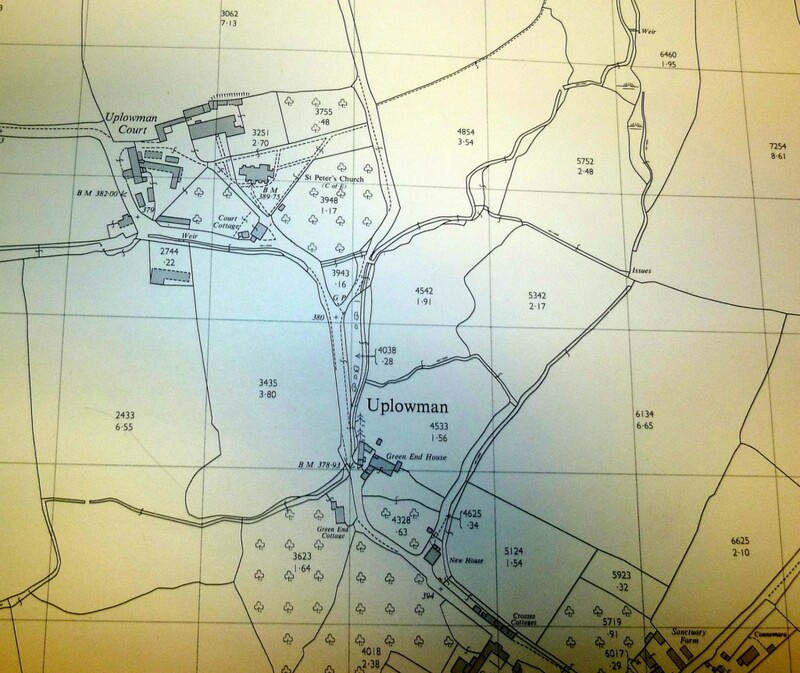 Notice on the 1970’s map there is “Sanctuary Farm” next to the Redwoods which now has several new houses. 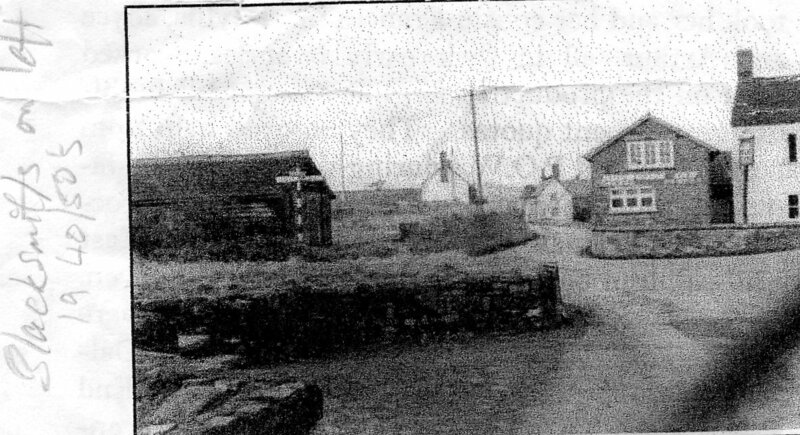 Notably there were few houses other than Crosses Farm at the centre of the village. A considerable number of new houses were built during the 1980’s along the road down from the Redwoods to Waterside Cottage. In contrast there has been little change at Greengates. 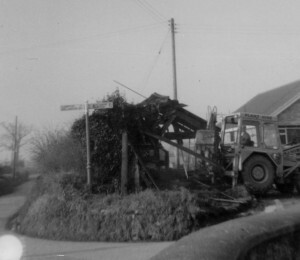 and it being demolished in the late 1960s. This photo shows the corner in front of the Post Office before the gardens were extended and Craigmoor House and Broadview House were built in the 1970’s.